Jacobus Henricus "Henry" van 't Hoff, Jr. was a Dutch physical chemist. 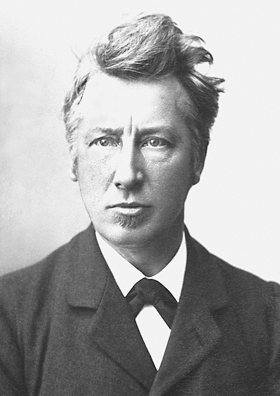 A highly influential theoretical chemist of his time, van 't Hoff was the first winner of the Nobel Prize in Chemistry. His pioneering work helped found the modern theory of chemical affinity, chemical equilibrium, chemical kinetics, and chemical thermodynamics. In his 1874 pamphlet van 't Hoff formulated the theory of the tetrahedral carbon atom and laid the foundations of stereochemistry. In 1875, he predicted the correct structures of allenes and cumulenes as well as their axial chirality. He is also widely considered one of the founders of physical chemistry as the discipline is known today. Osmotic pressure is the minimum pressure which needs to be applied to a solution to prevent the inward flow of its pure solvent across a semipermeable membrane. It is also defined as the measure of the tendency of a solution to take in pure solvent by osmosis. Potential osmotic pressure is the maximum osmotic pressure that could develop in a solution if it were separated from its pure solvent by a semipermeable membrane. Alfred Nobel stipulated in his last will and testament that his money be used to create a series of prizes for those who confer the "greatest benefit on mankind" in physics, chemistry, peace, physiology or medicine, and literature. Though Nobel wrote several wills during his lifetime, the last was written a little over a year before he died, and signed at the Swedish-Norwegian Club in Paris on 27 November 1895. Nobel bequeathed 94% of his total assets, 31 million Swedish kronor (US$198 million, €176 million in 2016), to establish and endow the five Nobel Prizes. Due to the level of skepticism surrounding the will, it was not until April 26, 1897 that it was approved by the Storting (Norwegian Parliament). The executors of his will were Ragnar Sohlman and Rudolf Lilljequist, who formed the Nobel Foundation to take care of Nobel's fortune and organise the prizes. The Stockholm City Hall is the building of the Municipal Council for the City of Stockholm in Sweden. It stands on the eastern tip of Kungsholmen island, next to Riddarfjärden's northern shore and facing the islands of Riddarholmen and Södermalm. It houses offices and conference rooms as well as ceremonial halls, and the luxury restaurant Stadshuskällaren. It is the venue of the Nobel Prize banquet and is one of Stockholm's major tourist attractions. "Nobel Prize winners by category (chemistry)". Encyclopædia Britannica . Retrieved 2008-10-06. ↑ "History – Historic Figures: Alfred Nobel (1833–1896)". BBC . Retrieved 2010-01-15. ↑ "Guide to Nobel Prize". Britannica . Retrieved 2013-06-10. ↑ von Euler, U.S. (6 June 1981). 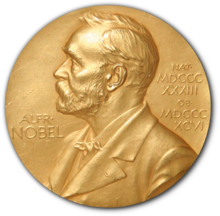 "The Nobel Foundation and its Role for Modern Day Science". Die Naturwissenschaften . Springer-Verlag. Archived from the original (PDF) on 14 July 2011. Retrieved 21 January 2010. 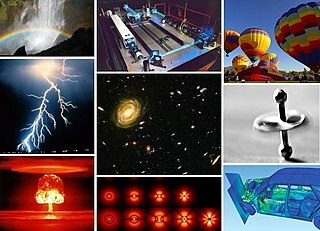 ↑ "The Nobel Foundation – History". Nobelprize.org. Archived from the original on January 9, 2010. Retrieved 2010-01-15. ↑ "Nobel Prize History —". Infoplease. 1999-10-13. Retrieved 2010-01-15. ↑ "Nobel Foundation (Scandinavian organisation)". Britannica. Retrieved 2013-06-10. ↑ AFP, "Alfred Nobel's last will and testament" Archived October 9, 2009, at the Wayback Machine , The Local (5 October 2009): accessed 20 January 2010. ↑ Tom Rivers (2009-12-10). "2009 Nobel Laureates Receive Their Honors | Europe| English". .voanews.com. Retrieved 2010-01-15. ↑ "The Nobel Medals". Ceptualinstitute.com. Archived from the original on 2007-12-19. Retrieved 2010-01-15. ↑ "The Nobel Diplomas". Nobelprize.org. Retrieved 2014-08-24. 1 2 Hoffmann, Roald (9 Feb 2012). "What, Another Nobel Prize in Chemistry to a Nonchemist?". Angewandte Chemie International Edition. 51 (8): 1734–1735. doi:10.1002/anie.201108514. PMID 22323188. ↑ "The Economist explains: Why is the Nobel prize in chemistry given for things that are not chemistry?". 7 Oct 2015. Retrieved 13 Oct 2015.